Do you need any kind of cosmetic or plastic surgery? In Chiang Mai you can get your proceduress with highly-rated surgeons, and relax and recuperate in this laidback Thai location. Check out these reasons for selecting Chiang Mai as your dream medical destination. Chiang Mai is called ‘the rose of the north’ and is the capital of Thailand’s Northern Province (also called Chiang Mai province). However, it has a more traditional and cultural feel to it with many old houses still existing, offering an exciting blend of the old and new. It is not as frenetic as Pattaya and not overcrowded like Bangkok. It has a sleepy, residential vibe to it, but it also has modern shops and hotels, not to mention shopping malls. Anywhere in Chiang Mai you are not too far from the green forest reserves and the natural beauty of the surrounding countryside. Interspersed with its many waterfalls it is a sight for sore eyes. There are also more than 300 temples, most of them Buddhist, and among some of the best ancient architectural wonders you’re likely to see. Chiang Mai, a once sleepy town, now has excellent medical facilities, some JCI accredited hospitals and doctors that speak English. 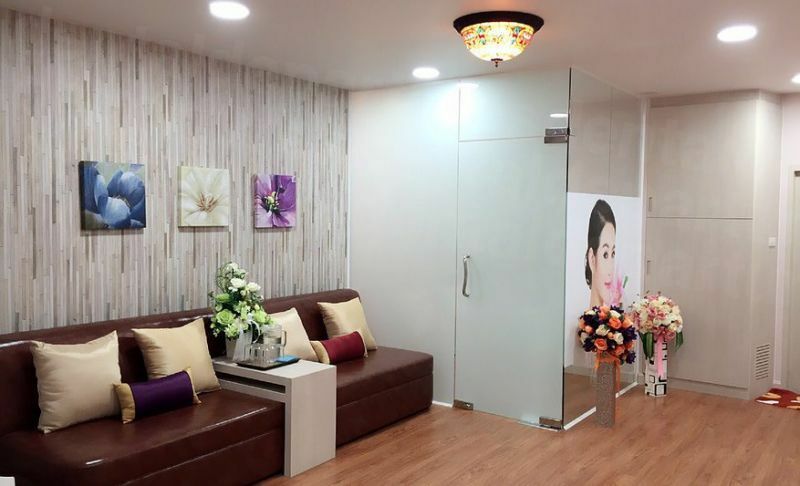 The place is known for all kinds of plastic surgery procedures including breast surgeries, eye surgeries, liposuction, body contouring and other cosmetic treatments, as well as all kinds of cosmetic surgeries like facelifts. You can also find plenty of clinics offering non-surgical cosmetic treatments, which can be used in conjunction with surgery, or as standalone treatments. Chiang Mai offers competitive rates when compared to other regions in Thailand, plus other costs here are lower. Doctors are well trained and many have done some or all of their training abroad. As the Thai are generally a hospitable people, you will find Thai doctors caring and compassionate. At Chiang Mai you can have a relaxing holiday and also receive excellent medical care at state of the art facilities. If you require special attention post surgery, you can hire nurses and caregivers at very reasonable prices who will monitor you and take care of you. Chiang Mai is in Northern Thailand. It is about 700 kilometers away from Bangkok, which means an 8 hour journey by road. However, you can also fly into Chiang Mai. Why choose Chiang Mai for plastic surgery? Until quite recently everyday people did not think of improving their physical features to a great extent. A nose job was about the maximum and that also needed to be well considered. Today more people want to look good, look younger and look more attractive. Just wearing good clothes, make-up and changing hairstyles and hair color is not enough. You can change the parts of your body you don’t like: get bigger or smaller breasts, get body contouring, get better and younger looking skin. You can also undergo eye surgeries (cosmetic or vision related), facelifts, hair removal, hair transplant and other surgeries. Cosmetic surgeries are not covered by insurance and can be quite expensive in your home country. In Chiang Mai, you can get these surgeries and treatments done at affordable rates, even if you factor in travel and stay cost. Breast Enlargement in Chiang Mai average cost AUD 4,400 (USD 3,700; CAN $4,700; UK £2,500; EURO €3,200), compared to AUD 16,500 in Australia (USD 12,200; CAN $15,700; UK £8,500; EURO €10,800). 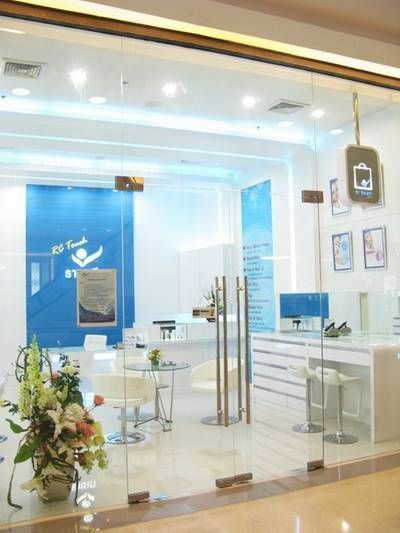 Eye lid/Eye bag surgery in Chiang Mai average cost AUD 1,400 (USD 1,100; CAN $1,400; UK £800; EURO €1,000), compared to AUD 7,200 (US $6,000; CAN $7,700; UK £4,100; EURO €5,200). Facelift in Chiang Mai average cost AUD 7,200 (USD 6,000; CAN $7,700; UK £4,100; EURO €5,200), compared to AUD $25,000 in Australia (US $18,000; CAN $23,700; UK £13,000; EURO €16,200). There are sufficient hospitals and clinics in Chiang Mai to cater to locals and medical tourists. 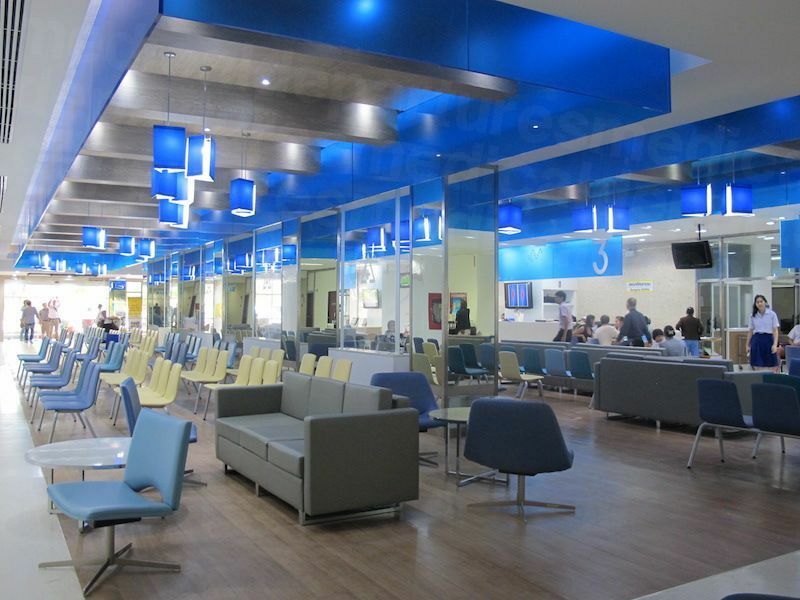 Some of them are large, fully-fledged hospitals that do everything, not only plastic surgery. Then there are also smaller places that offer only plastic surgery. And there are yet smaller cosmetic clinics that offer only minimally invasive and non-invasive cosmetic procedures. All the facilities are air-conditioned, have luxurious surroundings and amenities, use the latest equipment and are well-versed in technological advancements. Some of the hospitals are accredited to the Joint Commission International (JCI), a U.S. based organization that follows high international standards. Medical education that leads to men and women becoming doctors is highly desirable globally. but even more so in Asian countries. Medicine is not only regarded as one of the top professions but doctors are universally respected and are among the top earners. As such, admission to medical schools in Asia is highly competitive and only the best are admitted. Medical students require a minimum of six years of study before they graduate as basic doctors. Once they have graduated as doctors, a year’s internship followed by practice for two years in rural areas must be completed before doctors can enrol to study for a specialty. This gives them a great deal of exposure and experience. After this is over, they can study locally or in foreign countries for their specializations. In Chiang Mai you can find a rage of tourist hotels to meet all your price points. You can choose to stay in luxurious high end hotels, smaller boutique hotels or even local properties that still offer good amenities. If you have serious procedures done, you may want to select a hotel that has room service so that you can get the rest you need in the comfort of your room. Almost all hotels will also offer a range of entertainment options including television, many will offer cable and some will also offer pay per view movies or shows. Where should you stay in Chiang Mai? It is important that you find the right place to stay and partly this depends on whether you are going to Chiang Mai for plastic surgery or you are going there for a holiday and want to get minor work done. You will need to decide whether you want to stay close to the hospital, clinic, airport or close to the city centre. If you need rest post surgery, you may want to pick out a quiet place with all amenities easily-accessible. Of course, most top-end luxury hotels will offer you the best amenities and the peace and quiet you desire. If you are on a tight budget, you may want to check out one of the many guest houses that are reasonably priced at USD 12-15 nights for an air-conditioned room. For USD 50-100 per night you can stay at fairly luxurious hotels. You can make a selection of the hotel that suits your needs and your budget when you do your booking. Chiang Mai is a much smaller place than Bangkok or Pattaya. While it is a haven for tourists and the crime rate is relatively low, as a tourist who is unfamiliar with the people and the surroundings, it is always better to be safe than sorry. Avoid carrying too much money on yourself, wearing jewelry or showing off your cash in crowded places. It is safer to use ATMs at your hotel or one attached to a bank as ATM and credit card skimming is rampant in some areas. Beware of pickpockets in crowded areas and night markets. You should take care to minimize your risk and not do things that open you to scammers and criminals. Do not even consider buying gems from strange people – if you must, go to a big jewelry shop. Chiang Mai is extremely safe, but just employ common-sense as you would when you are anywhere unfamiliar back home. Any kind of medical procedure has some risk attached to it, and here can be problems during surgery that even the best surgeons cannot anticipate, no matter what country they are located in. This is why you should choose a trusted surgeon and clinic. When you opt for a doctor or a hospital or clinic which has a good track record and a great deal of experience your procedure will be much safer. Medical Departures ensures our providers’ credentials are reliable. We investigate all aspects of the clinics, hospitals and doctors that we list on our website. We check up on qualifications, experience and accreditations and visit the places to see that they follow international standards. What happens if something goes wrong? Do Thailand doctors have warranties or guarantees? Even if you have taken the utmost precautions, chosen the best doctors and hospitals you can still face a problem. If you have a medical problem related to your procedure, we will make sure that you get a resolution. You can get complete peace-of-mind in terms of getting any travel or accommodation expenses reimbursed in the unlikely event you will need to travel back by buying extra insurance in case of medical complications for a small fee. This will help you cover your flight and accommodation costs as well, so you will not be out of pocket in any way. Some of the hospitals and clinics on our website have their own warranties that cover such extra costs. Get all your concerns addressed by our customer care team. You can be assured on the score that doctors will speak English and you will not face any communication problems. What payment methods are accepted in Chiang Mai? Like all international tourist destinations you can pay by international credit and debit cards for any surgery or expenses you incur. You can also arrange to use wire transfer or other payment methods. For small purchases it always handy to have some Thai currency for cash purchases. When is the best time to visit for plastic surgery in Chiang Mai? Chiang Mai is situated in the north of Thailand, in the foothills of the Himalayas. Though Thailand is a tropical country with mild climate, this geographical location means that it is cooler and dryer in Chiang Mai. In winter you may be need light woolens. During the rainy season (from June to October), showers may be heavy. From mid October to mid February the weather is relatively cool, dry and pleasant, so this is the best period to visit for many. What is the downside? What should I know about getting plastic surgery in Chiang Mai? You are in a nice tourist spot, but you are going for surgery where you may be under general anesthesia, so will be unconscious. In the best of places this can be an unsettling experience. It is always better and safer to go with a family member or a close friend, particularly where any serious surgery is concerned. Even in your own country, you will most probably have someone with you, and this is all the more important when you are in a foreign country. The person with you should be in a position to make decisions and take charge if required, so must be familiar with your medical history and your expectations. At the same time, you should make sure that your companion does not feel restricted in any way as far as stay, food and entertainment is concerned. If you have minor treatments or surgeries, you may be relatively mobile. If you have major surgery, then you may need to take bed rest for some time and you can even get a medical attendant or caregiver on payment for the days required. This person can help you with your bathing, dressing, eating and medical needs (dressings, medicines and the like). After some procedures you may need to be out of the sun, so you have to take care that you can pass your time indoors, or at least in the shade. The place you stay should also be able to give you the recommended diet, if you have any dietary restrictions. What else is there to do in Chiang Mai? Chiang Mai consists of an old city (built in 1296) and a new city which came up around the moat surrounding the walls of the old city. You can check out the ancient structures in the old city, which is very scenic. You can also see the Royal Palace, museums, national parks, orchid and butterfly farms, tiger kingdom, zoos and caves. You can do a great deal of shopping in the day and also once the sun has gone down in the night markets and bazaars. There are many artisans and craft people in the area so you can shop for handicrafts as well as visiting workshops. For the sporting enthusiasts are a range of activities like golf, paragliding, abseiling, golf, dune buggy riding and much more. For relaxation don’t miss out on Thai spas and massages. You can also get a whole lot of beauty treatments done very cheaply. Going to hot springs is also an exhilarating experience. River boat rides, waterfalls and rainforests are other natural attractions in Chiang Mai. As for food, you are spoilt for choice with a vast range of restaurants serving all kinds of cuisines, street foods, hawker stalls and fine dining options in top end hotels. Bangkok’s Suvarnabhumi International Airport is a major stopover from any part of the world. However, Chiang Mai has an international airport and you can catch a short flight from Bangkok airport or you can land directly at the international airport at Chiang Mai, especially if you are using a charter flight or direct flight. Alternatively, you can take the road or rail route to Chiang Mai, but this will be time consuming, though scenic. Local transport in Chiang Mai is available and usually tuk-tuks can be hailed. A great many places are within walking distance. The best transport option is the local songthaews. You can also rent motorcycles (though driving can be pretty hazardous) and travel by local buses. You can get Uber and Grab Taxi, two apps that take the bargaining out of the picture. . Often the hospitals arrange transport either from the airport or from your hotel. All airlines may not fly to Chiang Mai. You get more options if you fly to Bangkok and take a domestic flight from there. From western countries like U.S.A., U.K., Canada, Australia and New Zealand visas are not required for a stay of 30 days. If you plan to stay longer then you can apply locally or apply for a longer visa from your home country. For other countries it is best to check online. Do try out our quality checked clinics. Look below to talk to our customer care team, ask for more information or complete your booking for plastic surgery in Chiang Mai.